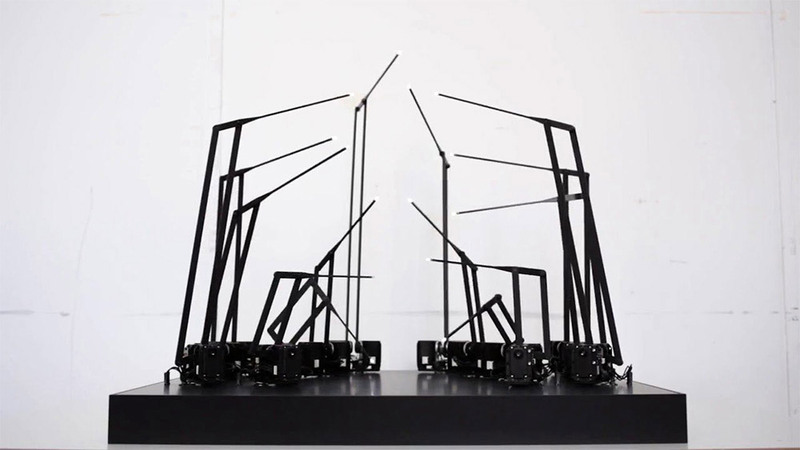 Random International’s “Study for Fifteen Points” is a 15-legged kinetic artwork. Tipped with white LED lights, the piece’s movements are an experiment with the minimal amount of information necessary for an animated form to be recognizable as human. More images below and video below!